This recipe is from the lovely folks at Cook’s Illustrated. 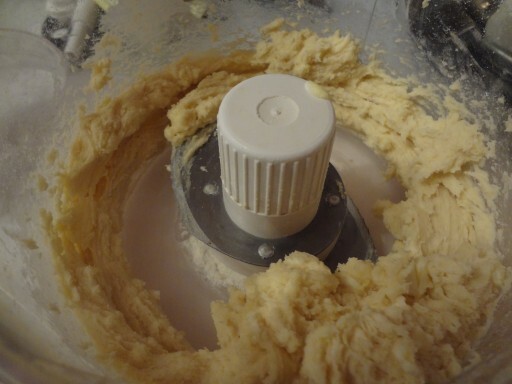 It is my go to recipe for pie dough. I am not a pastry person. I mean, I like eating them, but making pastry has always seemed way too futzy. 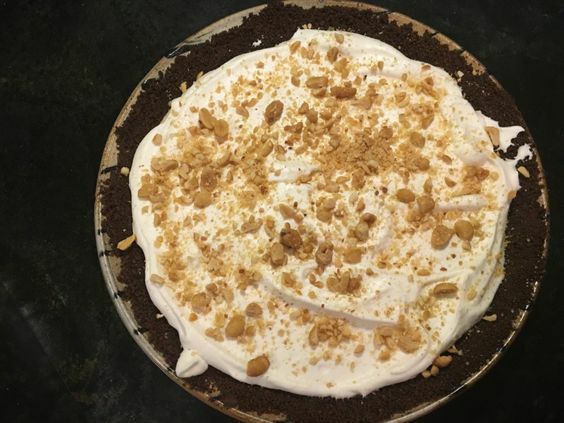 Before this, I would just buy pre-made pie dough, which was never very good, so I really just didn’t make pie. But this recipe changed all that. It really is foolproof. I don’t think it can be overworked or have too much flour added. 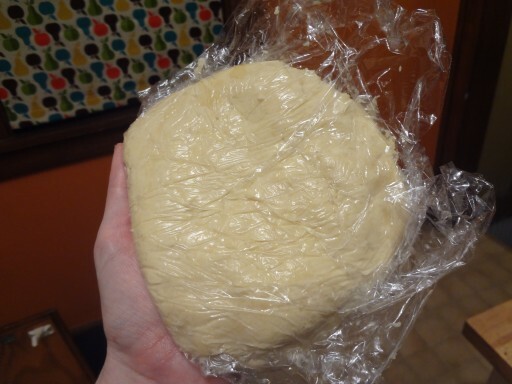 I have done mean things to this pie dough and the end result is always tender and flaky. 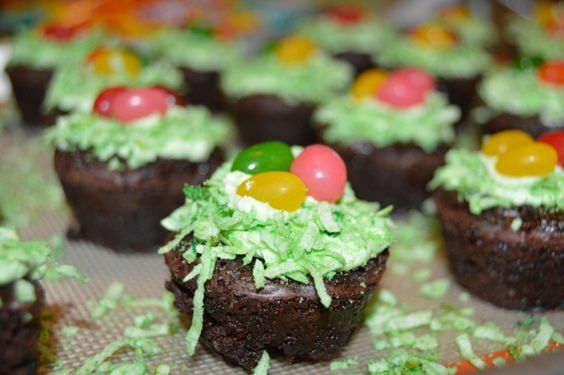 The secret ingredient is vodka. Something about the alcohol not promoting gluten formation and lower evaporation point.. insert science here… equals fabulous. 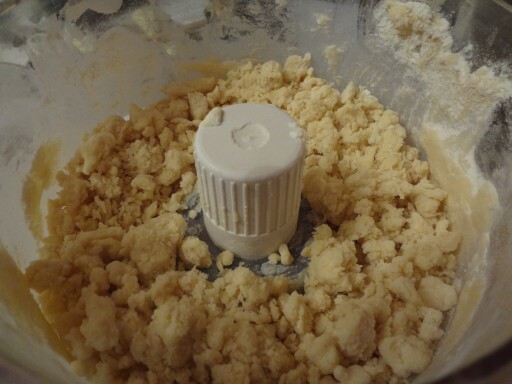 The dough is wet and sticky, just make sure it is really cold when you roll it out and don’t be afraid to add flour. And whatever you do, don’t taste the raw dough, it is awful, but I promise it will be delicious once properly baked. Like I said, the key to perfect pie dough is vodka. 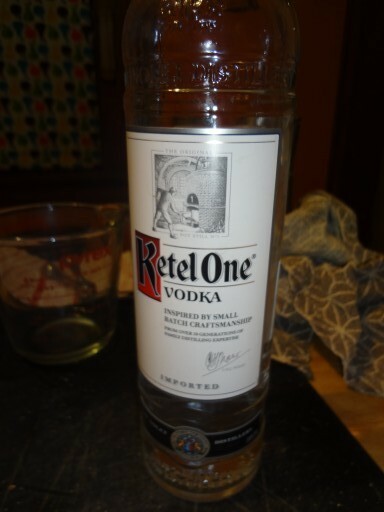 Since you can’t taste the vodka, I’m not sure it needs to be good vodka, I just used what was in my liquor cabinet. The recipe calls for cold water, vodka, butter and shortening. I keep butter in the fridge so that isn’t a problem, but I usually have the rest of those ingredients at room temperature. 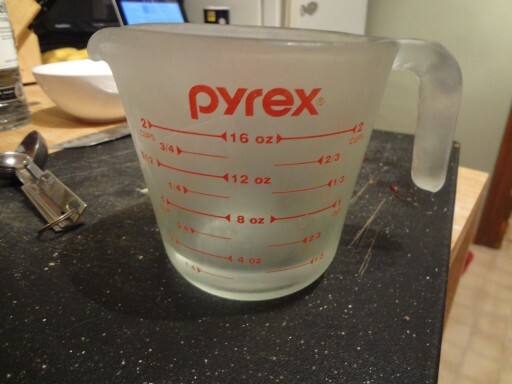 So I put the required amounts of vodka and water in a measuring cup and put the shortening in a bowl and stuck them both in the freezer for a few minutes before I started. 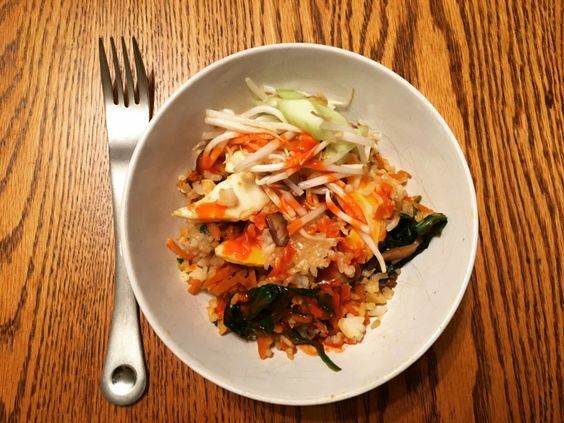 Once your ingredients are properly chilled, it’s time to drag out the food processor. 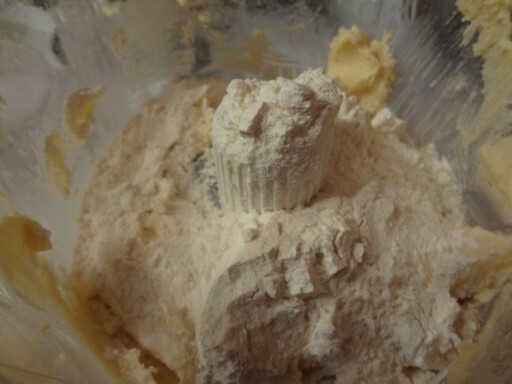 First, just add 1 1/2 cups of the flour, salt and sugar and pulse once or twice to combine. 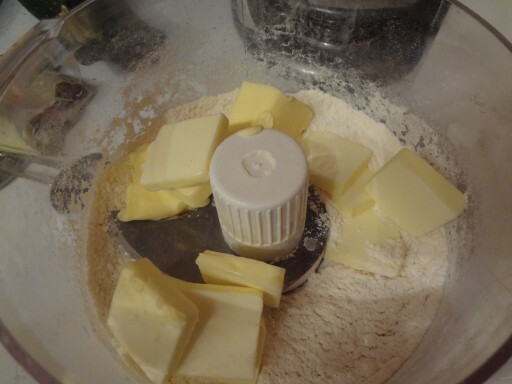 Then add the cold butter and shortening, cut into pieces, and process until it looks like cottage cheese. 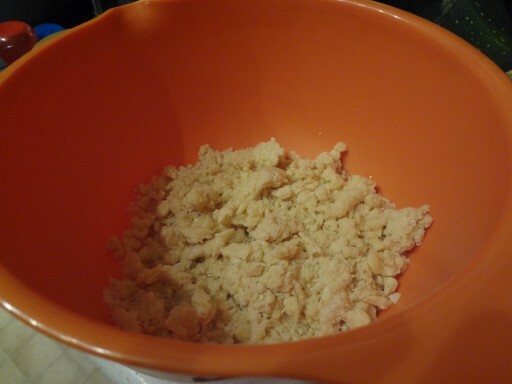 Now scrape down the sides and add the remaining cup of flour. Pulse 4 to 6 quick pulses or until the mass of dough breaks up. 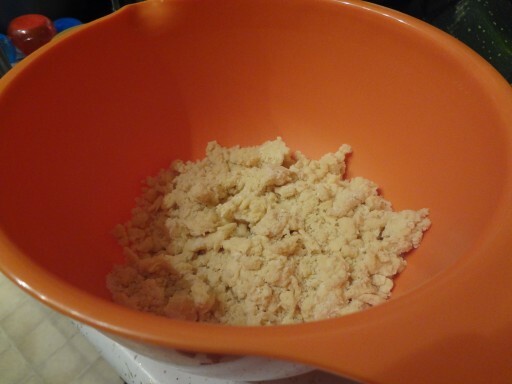 Then empty the dough into a medium bowl. Now sprinkle the cold vodka and water over the dough. 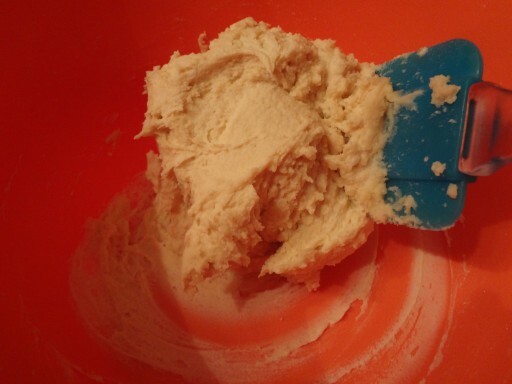 Mix using a rubber spatula and folding motion until the dough sticks together. 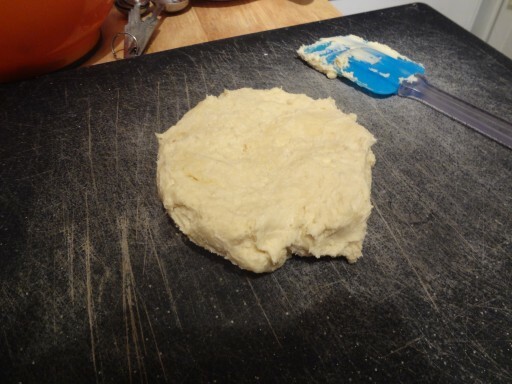 Then divide the dough into two even balls and flatten them into 4-inch disks. 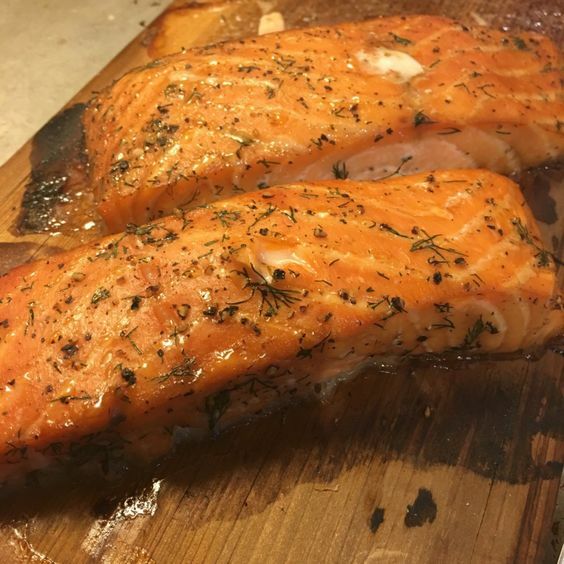 Wrap in plastic wrap and refrigerate for at least 45 minutes and up to 2 days.